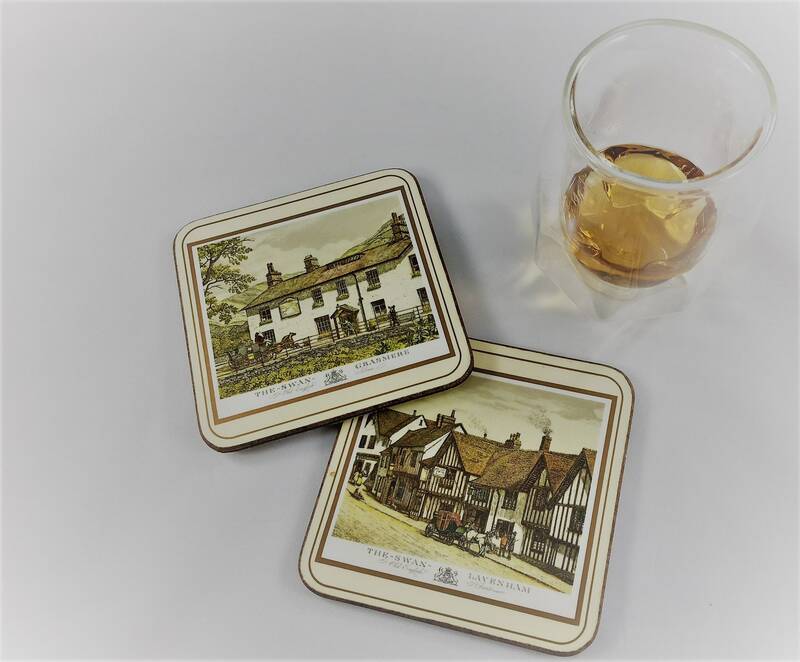 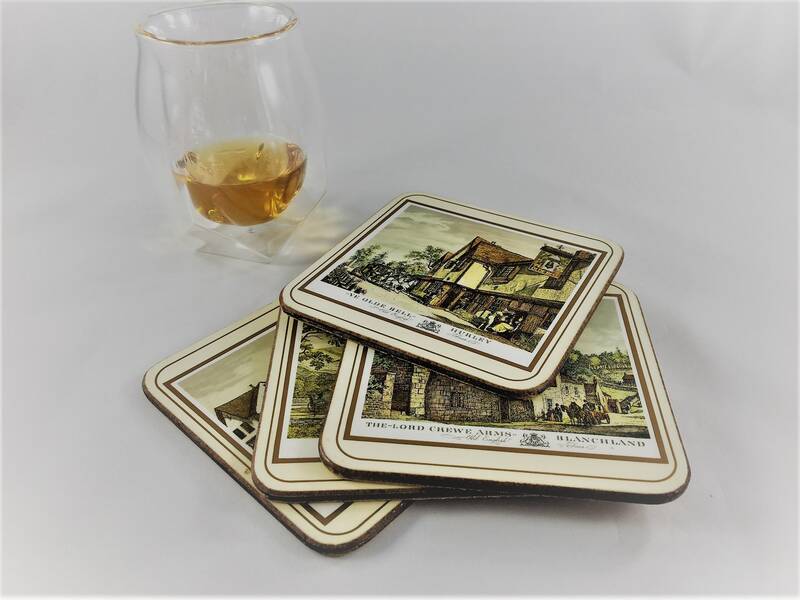 Featured are four lovely vintage Pimpernel coasters depicting different old English Inns. 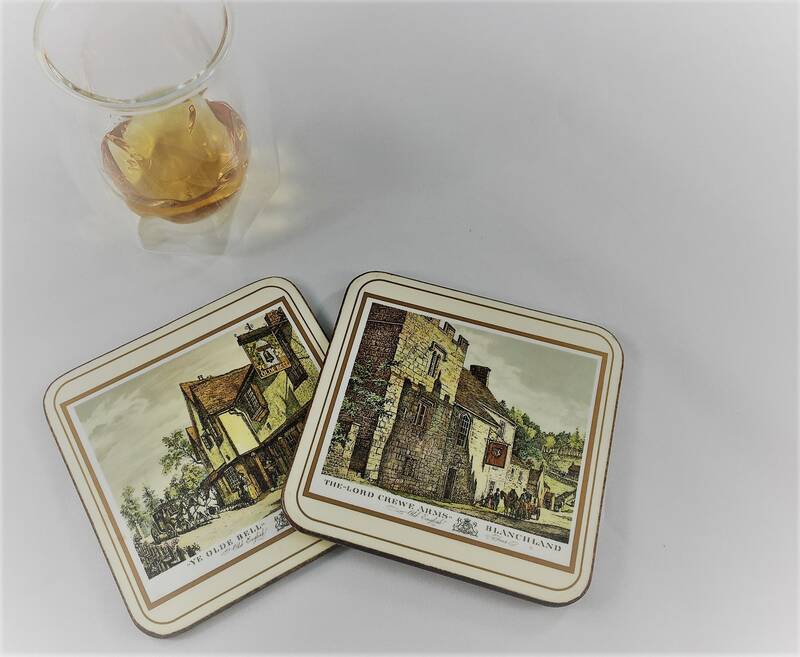 Each coaster has a different English Inn, The Swan Lavenham, The Swan Grasmere, The Lord Crewe Arms Blanchland, and Ye Olde Bell Hurley. 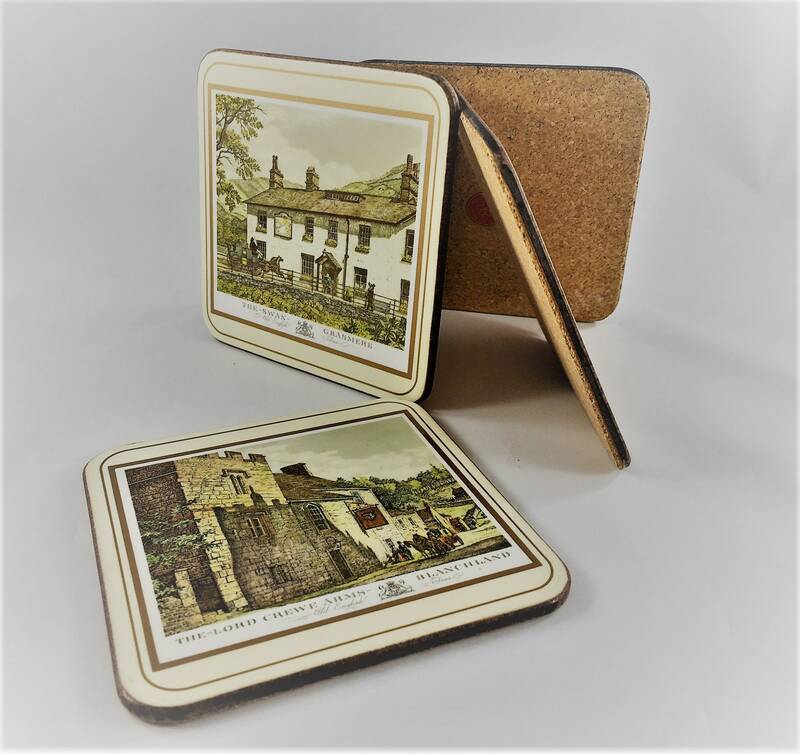 Each is about 4 inches square and has a cork backing. 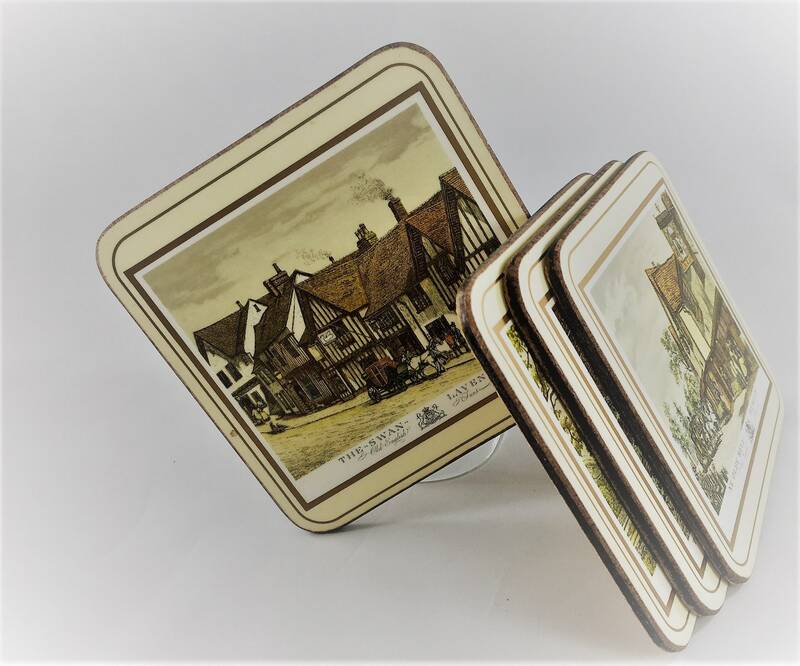 All are in great condition.